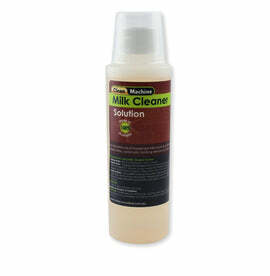 Clean Machine Weekly Milk Cleaner is a concentrated cleaner for the removal of built-up milk residue and sanitisation of milk frothing devices. Use weekly in conjunction with Milk Steamer Solution. 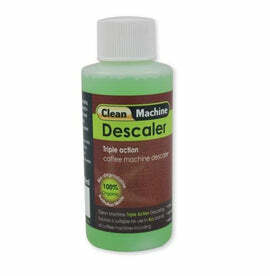 Using a new synthetic lactic acid formula, it is both safe (non hazardous and non dangerous) on machine parts and bench surfaces whilst 'punching above its weight' in the cleaning department. 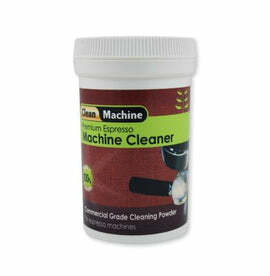 This cleaner will assist in breaking down milk stone and maintain milk steaming performance on coffee equipment. 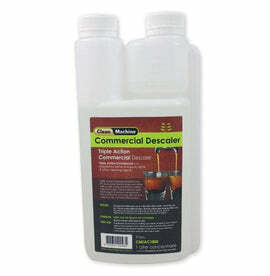 Use: mix 50 ml of solution to 200ml of water. 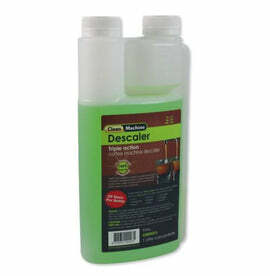 Auto Frothers: run a 250ml mixture of solution (see above) through automatic milk frothing mechanism. Repeat process twice with fresh water. Once a week dismantle auto frother and soak in solution. Rinse well. Steam Arms: using correct mix of solution place in jug and steam for approx 1 minute (as you would a jug of milk).